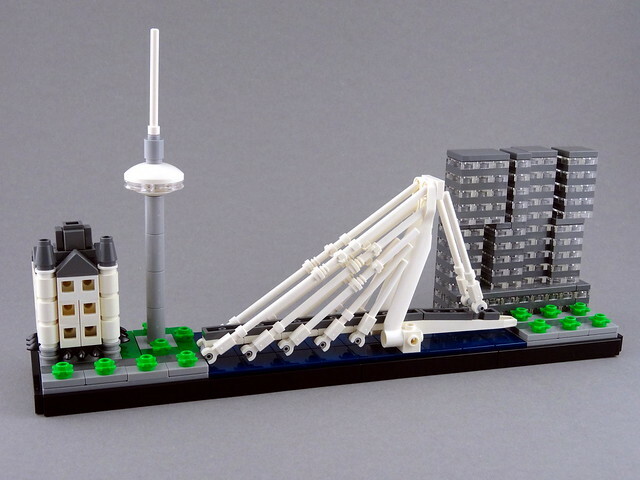 This super clean and expertly constructed skyline of the city of Rotterdam by builder Swan Dutchman is so well done it could be an official set. All it's missing is the printed tile and I would not be surprised to learn it's real. It was built for ReBrick's Dream Skylines contest going on right now.